All those California Liberals pretending to be the good people while lying, cheating, double-crossing everyone on their way to the private country club, insulting and disrespecting the duly elected president of the United States while ripping people off, cheating on their taxes and while trying to look like real honest united families when in reality they are nothing but a joke—high-class criminals with nothing to show. Federal officials have charged dozens of well-heeled parents, including actors Felicity Huffman and Lori Loughlin, in what the Justice Department says was a multi-million-dollar scheme to cheat college admissions standards. The parents allegedly paid a consultant who then fabricated academic and athletic credentials and arranged bribes to help get their children into prestigious universities. “We’re talking about deception and fraud — fake test scores, fake credentials, fake photographs, bribed college officials,” Andrew Lelling, U.S. attorney for the District of Massachusetts, said at a news conference last week in Boston. After listening to U.S. attorney for the District of Massachusetts, Andrew Lelling, reading all those charges it is a wonder how those Liberal Socialists can face their families, their neighbors and those who they have considered less than themselves, both socially and economically, yet who no doubt, in reality, have more honesty and decency than they do. How can they teach their sons and daughters honesty if they cannot be honest themselves and most likely don’t even know its meaning? 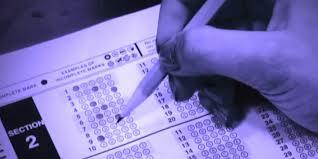 Allegations involved parents paying bribes to college officials, with the founder of a college prep business helping parents fake their students’ test scores, athletic credentials, and photographs. Area students, parents, and college counselors are taking notice of a scandal centered around some of the nation’s most elite schools and they may assume that is the normal way of educating one’s children; that is the way to show the youngsters in the house principals, class, ethics and values, qualities the parents don’t have or even thought were important enough to be in a human being’s life.